2. Select the Apps tab at the top. 3. Scroll down to the File Sharing section. 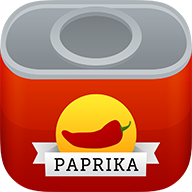 Choose Paprika from the list of apps on the left. 4. Click the Add... button at the in the section that says Paprika Documents, and select the file you would like to import. 5. Open Paprika, and navigate to the Settings panel of the application. Select Import Recipes. 6. Select the file you would like to import.